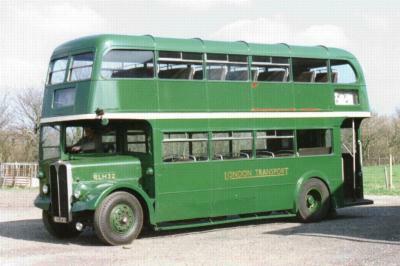 RLH 32 worked within the Country area of London Transport throughout its career, painted green with cream waistband. 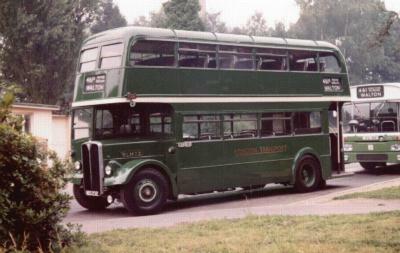 Entering service in October 1952, it was based at Guildford garage for the first five years. 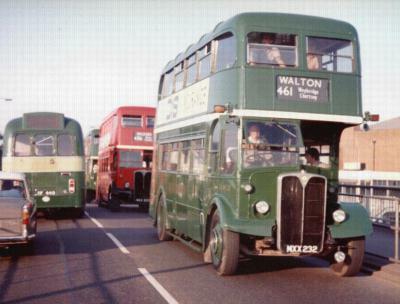 Apart from a brief spell at Godstone, Addlestone garage was then home until withdrawal in July 1970. 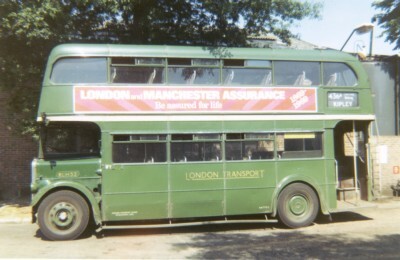 From the first day of 1970, it was owned by London Country Bus Services, and later bore a revised fleet name 'LONDON COUNTRY' in the old LT gold style. In June 2005, 35 years after withdrawal, RLH 32 was painted with London Country yellow fleet names, 'flying polo mint' logo and waist band as a 'might have been'- to represent what the small fleet of London Country RLHs would have looked like, had they continued in service for a little longer. 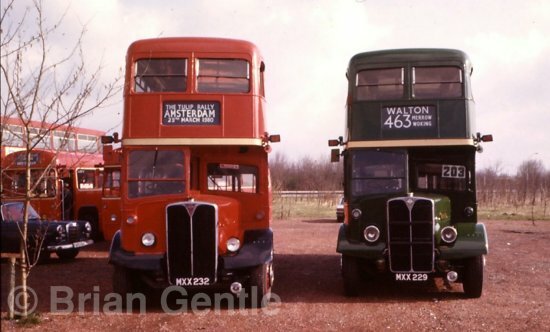 This was the same colour scheme applied to green London Country RTs of the period. 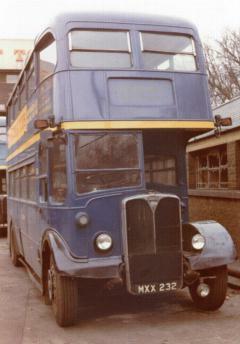 After being stored at Garston garage, the bus was painted blue and used from 1971 by Lesney Products, to transport staff. 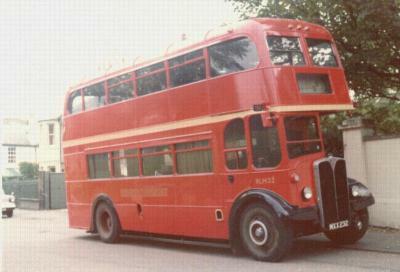 RLH 32 was sold to the London Bus Preservation Group, Surrey, in October 1974, and resold the next year for use as a caravan. 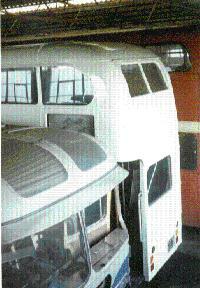 Fortunately this conversion was not undertaken, although the bus was painted red for the first time. 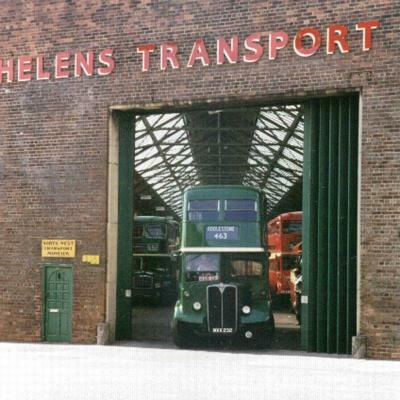 In November 1976 the bus was secured for preservation by the Modelstone Bus Club and kept in the North West Transport Museum, St. Helens, Merseyside. It visited Holland for the Tulip rally near Amsterdam in March 1980, and was soon after restored to original green colours. 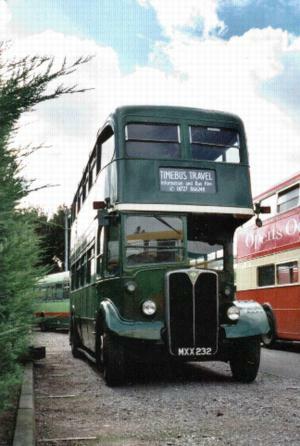 RLH 32 was purchased by D. Pring of Timebus Travel (now known just as Timebus) in July 1997. 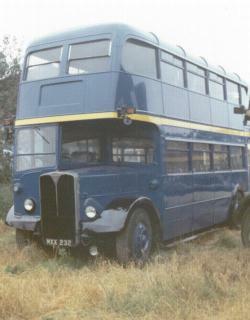 In 2007, the vehicle was painted in the blue and ivory colours of Samuel Ledgard, to re-create the appearance of the four (other) RLHs which operated north of Leeds until 40 years ago. 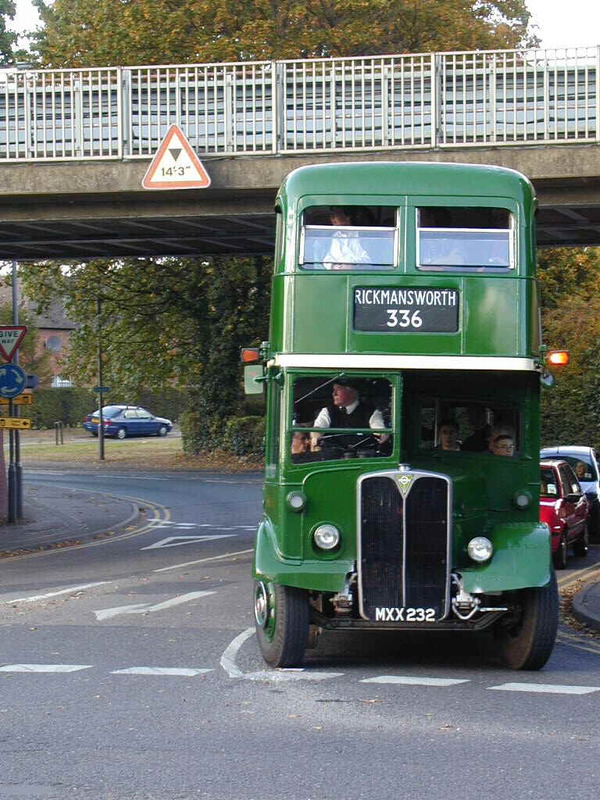 RLH 32 goes to a sprinkling of special events during the year and provides free rides to the public along with other heritage buses. 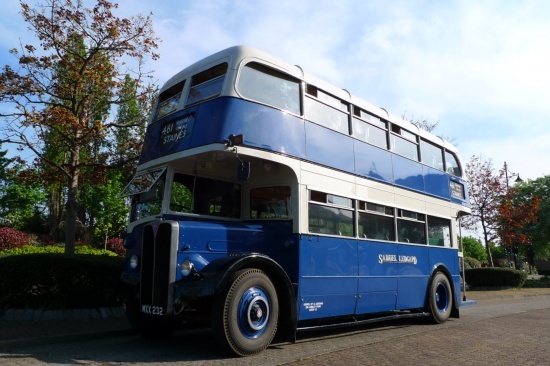 For a confirmation of where RLH 32 is definitely going to attend, please see the home page or contact Timebus online. 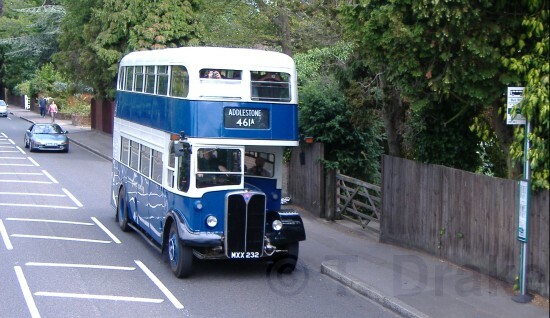 Route 461 was being re-created by RLHs on this date as part of the RLH40 commemoration. With RLH 29 at the Tulip rally, Amsterdam, Holland.